We invite you to review these recent reference letters as we are proud of our ability to translate our expertise into an easy and efficient process for our reverse mortgage clients. A simple thank you cannot express the gratitude I feel towards your company, but especially towards both Ben and Steve. My financial situation was slowly but surely on a downward turn, and I would be facing foreclosure. I tried to obtain a home modification, but because I proved at that time I was able to meet my monthly mortgage payments, I was denied. To say it was one of the lowest points in my life is an understatement. I heard about reverse mortgages from various sources, but felt uncomfortable going that route until I spoke to a friend whose mother obtained a reverse mortgage and her response was “what do you have to lose”. 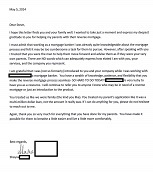 I contacted Wells Fargo only to learn most large banks no longer do reverse mortgages, and that I would have to find a smaller more specialized bank. I don’t know where I would be today if it wasn’t for Ben. I explained my situation including the fact I thought about selling my house but really wanted to save it. He was with me every step of the way explaining how reverse mortgages worked, what was to be expected and what my responsibilities were. When I had doubts he reassured me. When I needed someone to talk to, no matter what time of day or night, he was there. When he wasn’t available, Steve stepped in and handled the situation. Their professionalism and positive mannerism truly need to be awarded. They both kept me going though some very difficult decisions and I will always be indebted to both of them. A simple thank you is not enough, but Ben and Stevea, I thank you from the bottom of my heart. I wanted to write a letter and tell you how much I appreciate all the hard work you did to make this transaction happen. I have dealt with three other reverse mortgage companies, including my bank and they all said it couldn’t be done. I can’t tell you how it makes me feel to know that there are still people in this world who try hard enough to make life easier for others. You were so professional, kind, and competent, with a little humor thrown on, that it made me feel confident that you would accomplish this transaction. All I can say is you are an asset to your company and I am sure many others will benefit from your hard work and experience. Again thanks so much. We first came in contact with Ben in the Spring of 2013, after receiving information from your company regarding reverse mortgages. Immediately, Ben seemed to be a person who cared about his clients. We were undecided for sometime about going through with the process, but in all that time, Ben was always available to answer questions and steer us in the right direction without ever pressuring us for a decision. Ben explained everything to us so that we could understand it and feel comfortable with all the paperwork involved. Ben is an asset to your company, and I would not hesitate to recommend him to family and friends. 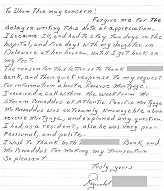 I am writing this letter in appreciation of Ben’s help with handling a reverse mortgage loan for me. He clearly demonstrated an outstanding job as he represented Atlantic Pacific, a company that has positively impacted my life by eliminating my need to make any future mortgage payments. 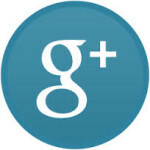 Ben’s efforts were very courteous and friendly, as they were efficient and expeditious. He was very responsive to my needs in directly providing help and in coordinating the involvement of others in the process. I would highly recommend Ben to anyone who would want excellent quality of service in this area of business. I just want to say that this was one of the smoothest loans that I have ever done. I was always given updates on the progress of my loan, and they even went over and above to ensure that the loan closed on time to count for the end of the month. Keep up the good work.